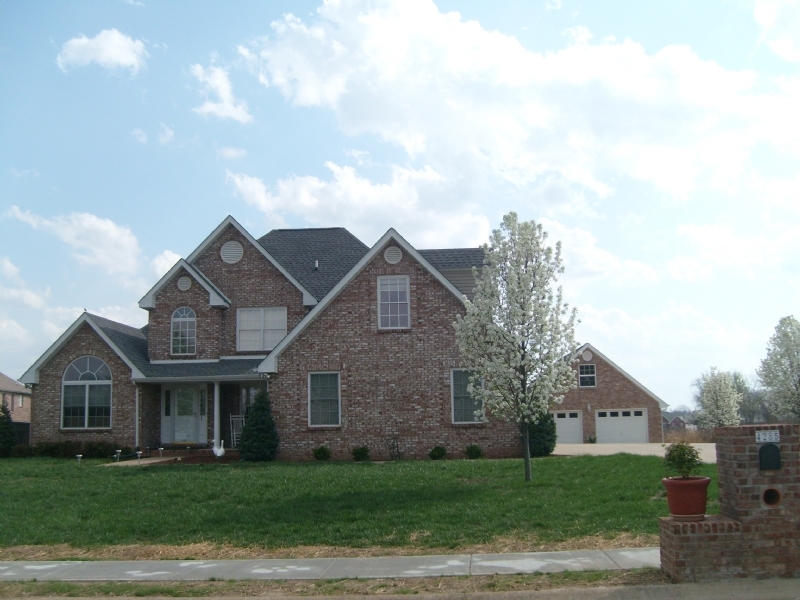 Located in the heart of Clarksville this 2800 sq foot home has 4Bedrooms and 21/2 baths. The home is in a well established neighborhood- Woodstock and the huge 3 car garage and 2 car detached garage has ample space for storing all your goodies and collectables. There is a nice Open backyard and a covered screened in deck. There is also a huge floored attic space over the 2 car detached garage that one can finish off . The hardwood floors are as good as new and are installed in the Master Bedroom , stairs and hallway and bonus room. The bathrooms and kitchen areas are tiled along with the best touch of fixtures. Lots of counterspace in the kitchen and a very open floor plan allows you to have a very welcoming atmosphere. The house is very centrally located close to Schools, Fort Campbell and the Montgomery County Interstate. There is a lot of space for storage and larger bedrooms to accomodate all your furniture. The Large eat in kitchen is next to the Living room that boasts a fireplace. The Dining room is located close to the entrance and has easy access to the kitchen. The community of Clarksville is growing in numbers and the value of housing has only increased every year. The housing market here has flourished and helped the economy grow in numbers. Come see this gorgeous home for yourself and see what think of this all brick custom built home that is sure to wow your expectations.